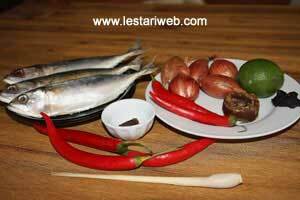 This another variant of Indonesian fish dishes from Southeast Sulawesi, namely : Parepe Ikan. Ikan in Indonesian language means Fish. Simple recipe but taste delicious, good for chili lover ;-). 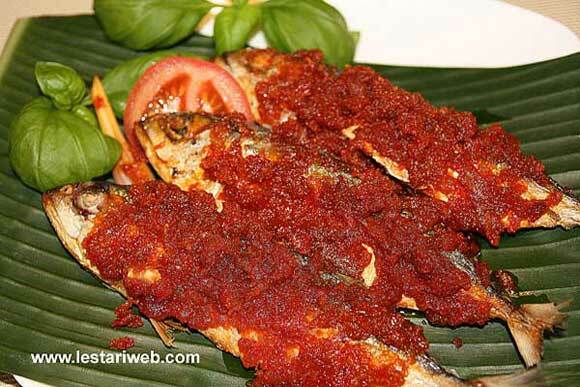 Note : In his hometown the fish is usually grilled on a charcoal then topped-up with chili paste relish. But some recipe also suggest that fish could be fried instead of grilling. In this recipe I fried the fish due to simplicity & efficiency. You can use whatever method which suits your preference. The result is always good. Clean the fish & discard all the entrails. Rub the lime juice onto the fishes. Put aside for 15 minutes. Heat 50 ml oil & fry the fish from both side until golden brown. (Or grill the fishes in a electric gril until the fish is lightly brown & tender). Set aside to drain. Put all ingredients for the paste in a grinding stone or blender and grind/blend into smooth paste. (If necessery add a little bit oil to help the blending process). Add the tamarind juice. Stit to mix. Adjust the seasoning, add the salt to taste. Add the fried fish, stir carefully until the fish is covered with the paste. Serve hot as a side dish.